Give new life to a treasured article or personalise an object to make it unique the Mirabelle papers will look great on your craft projects. We have developed a new & improved 22gsm Paper that is even easier to work with when covering your projects. 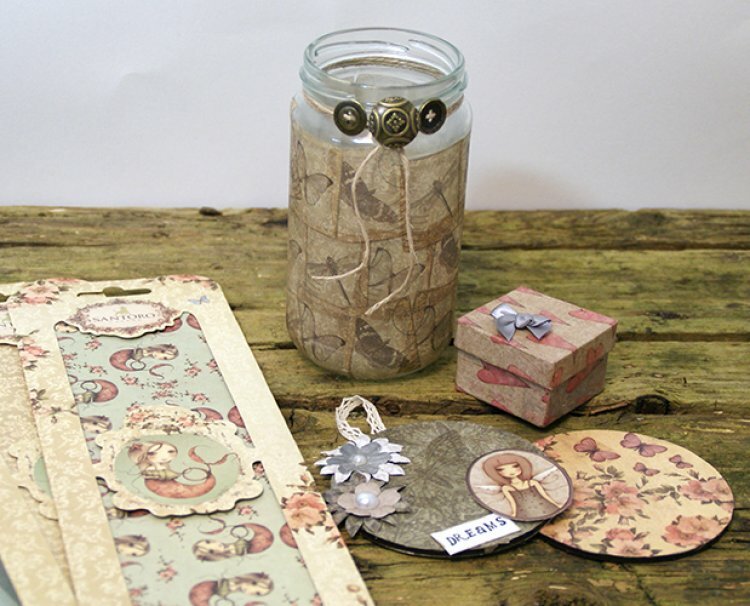 You can also reuse the packaging for character toppers and frames to embellish your projects. Use the First Edition Adhesives and Crackle Effect Varnish with your Santoro Deco Maché to protect the surfaces and add an antique distressed finish. The stunning range of papers will be available from the end of April in all good Trimcraft stockists.